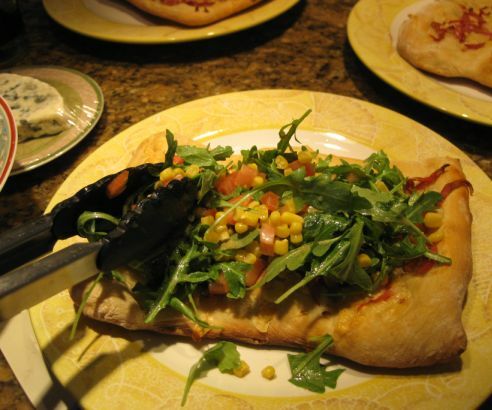 A Piadine is a thin chewy flatbread cooked over coals topped with fresh produce. My version of a Piadina is made a bit simpler. 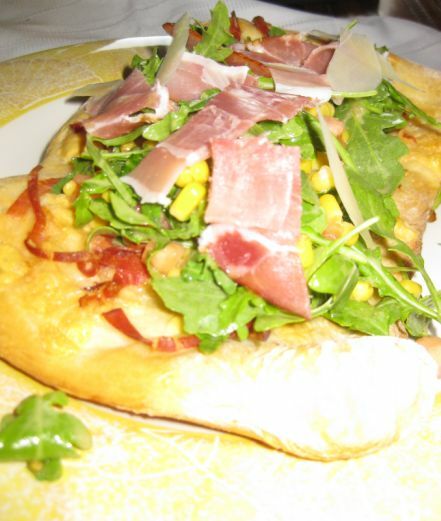 Instead of grilling the dough, I just put it in the oven just like baking a Pizza and then I topped it with arugula, tomatoes, corn, shaved parmesan and Prosciutto (Italian ham). 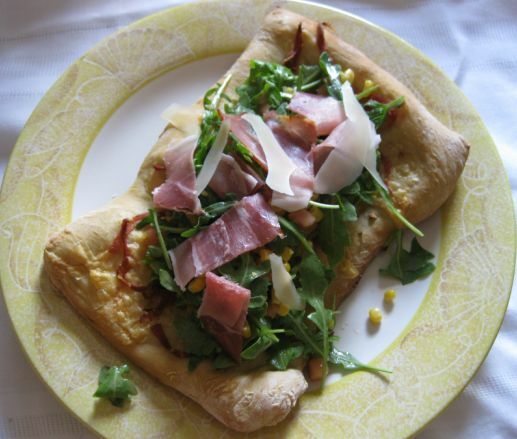 This a great dish to make when you don't have a lot of time. I took me about 10 minutes to prepare the dish + 20 minutes to bake the oven but while the Piadine is cooking I had time to do other things. So this is a really quick dish to prepare when you have no time for a meal. 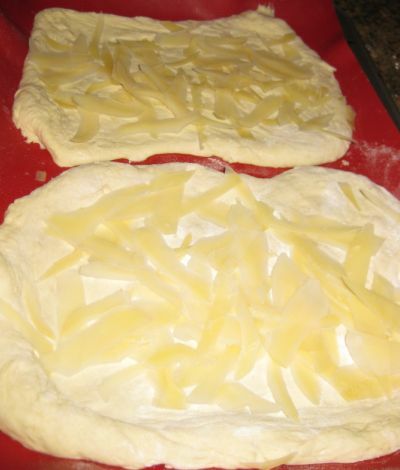 The pizza dough are store bought from Trader joe's. 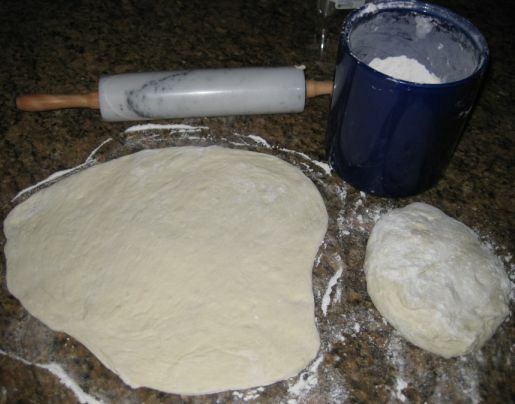 All I need to do is the roll out the dough to the desired shape. 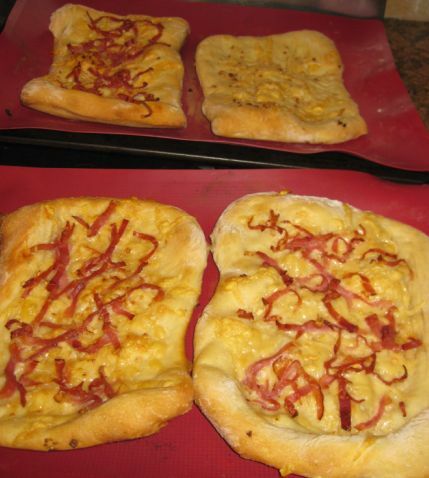 I topped my dough with shaved parmesan and prociutto. 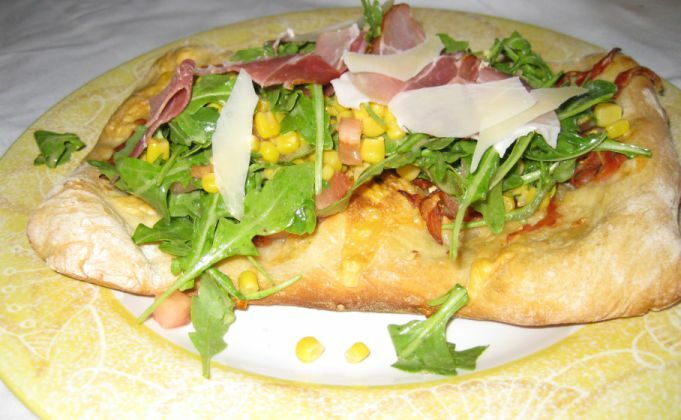 I let it cool off a bit and topped my Piadine with some arugula, tomoato, and corn and tossed them with a homemade vinaigrette.. Et voila, the dish is ready!